A time to give life or to kill it? The gift of a saviour could not come to us in any way other than as a child born of a woman. It’s Christmas: a time to rejoice and make merry; a time to stop and think. 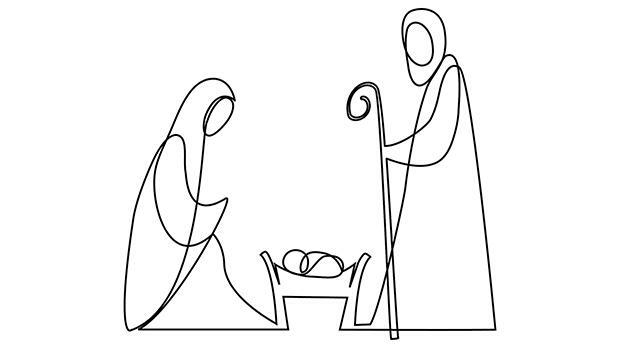 The Christmas story begins with the birth of a child – the child – it’s the same old, childish story. But humanity has now grown out of those primitive times when it depended on gods and fairies, religions and mythical beliefs. Who needs a supernatural saviour when we grown-ups can achieve our own wellbeing? Who needs a child to do what an adult can do on his own? A child is powerless; an adult has knowledge and power. A child is weak and helpless; an adult strong and self-sufficient. A child is a limiting burden; an adult is a free, independent master. Who needs a child when life is full of fun, money, success, comfort, a hectic career and an overloaded social calendar? Who needs to be saved from this bloated self-satisfaction? Life is a mix of joys and sadness, surprises and disappointments, pleasure and pain. The Child Jesus was to be the promised saviour of mankind. But save us from what, from whom? We know the formula: from sin and pain. For centuries people considered this to be the Good News – reason enough to rejoice and be glad. Times change and humanity marched on towards progress. The war against sadness, suffering and pain has made great strides. Advances in social and political systems, knowledge and education, science and technology, commerce and economics, gave us increasing control on life and the planet. A child may start as a satisfying source of excitement, but in­evi­tably becomes a source of worry and anxiety, a burden that threatens our right to pleasure and comfort. Our bloated ego starts to see the child as an enemy rather than a gift. The child joins the list of items to be avoided or eliminated. Our world is increasingly littered with victims we have eliminated. We have killed nature to build factories and polluting, moneymaking technologies; killed the environment to build comfortable, luxurious temples of loneliness; killed our relationships to become consumers and producers; killed authority to gain power; killed honesty and integrity to fatten our pockets; killed the family to escape paying the price of a lasting, loving and life-giving commitment; killed our gender identity by dismissing real diversity for a shortsighted, superficial, fake, levelling equality; killed knowledge and wisdom for information; killed true love in the hope of killing God Himself. Soon after this Christmas, the killing spree in our country will reach out to the unborn child. When a society kills its unborn, defenceless little ones, who else can survive? Comfort, unbridled freedom, the ego of the killer and blind, ruthless power will be the only ones to survive… together with the emptiness inside! “The child is father of the man,” said one renowned guru. Yes, the child needs to beget the adult, not vice-versa. It is weakness and vulnerability that give real birth to a meaningful life. Because love can only survive and thrive when it chooses and embraces pure giftedness. Only those who embrace the weakness and vulnerability of becoming a gift are able to receive others as pure and holy gifts. Only they can see life – at any stage of development – as holy. Life can only be received if it is given. Blessed are the pure of heart. They will see God everywhere… in their born or unborn child, in children of any age as well as in abortionists and aborting parents. In the former they will see God as a blossoming source of life. In the second they see Him as a devastating, shattering, empty silence. This Christmas let us rejoice that mankind received the gift of a Saviour. This gift could not come to us in any way other than as a child born of a woman. A blessed and holy Christmas.